An essential part of my summer wardrobe is a lightweight scarf. Love those soft, gauzy scarfs for cool days in the office. Great look! Perfect style! Love your jans! And very nice color combination! Love that scarf! Such a great pattern and perfect for summer! 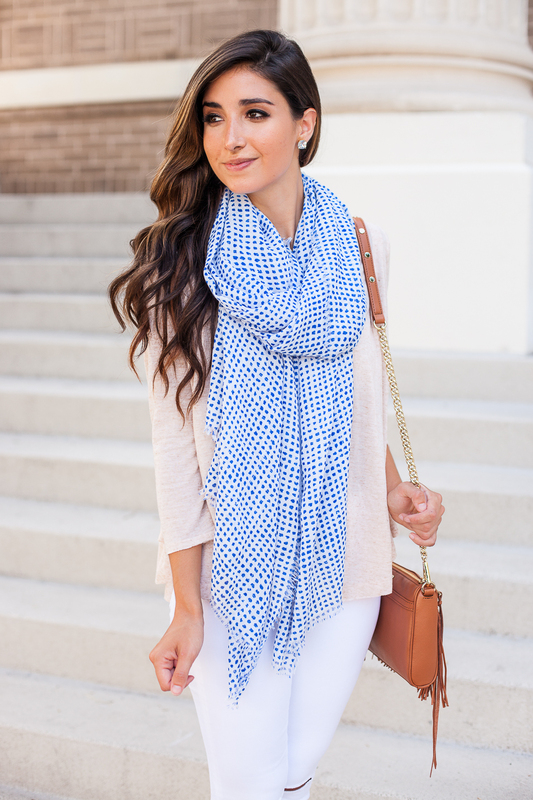 That scarf is SO adorable and perfect for summer! What a cute outfit! I love that top-it looks so soft and comfy!! 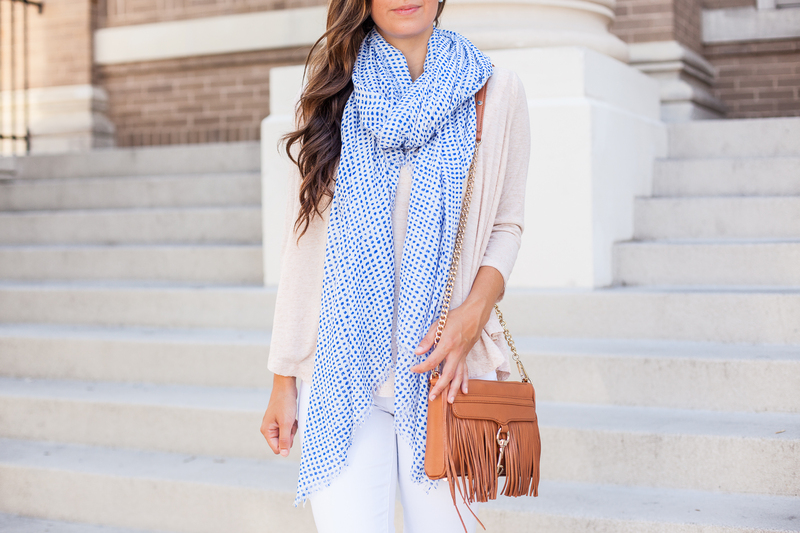 That scarf is the perfect touch of color and print to your neutral outfit! You look so pretty and so ready for a summer day! I am a huge fan of summer scarves. The one you are wearing is absolutely adorable! I live in scarves all year round, and yours is gorgeous! Its a great accessory for Texas summers- you pop it on going into any building and suddenly the A/C isn’t so traumatic. These colors are amazing on you! That scarf would work with so many outfits! Hope you have a great 4th! 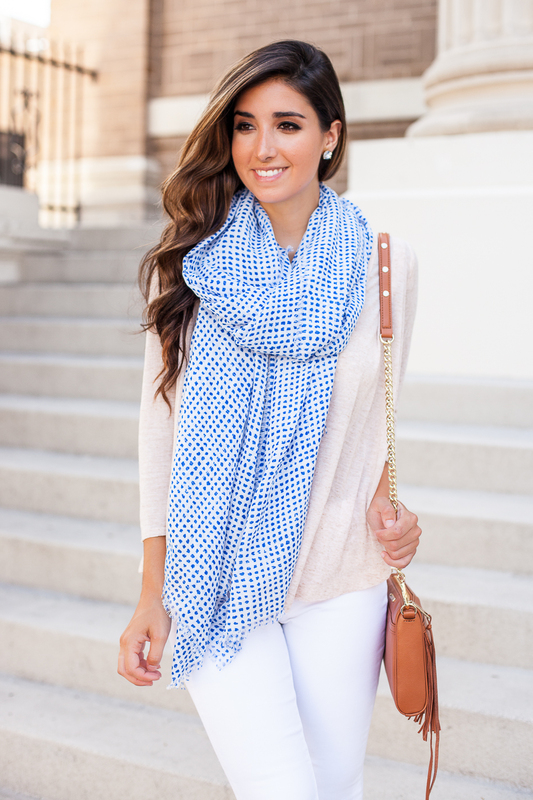 that scarf is such a great travel piece/summer essential! Also loving that neutral sweater. What a cute outfit! So light and airy like your photos which I love!